This adorable baby shoe is from the Aaron Basha Baby Shoe collection. In the form of a saddle shoe, it's crafted in 18kt white gold with a black and white enamel finish. A touch of sparkle comes from the diamond stud resting in the center of the shoestring tie. 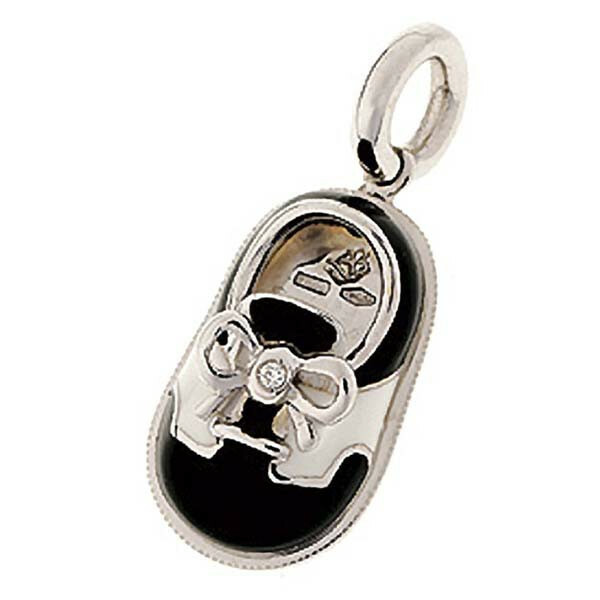 In true tuxedo fashion, this dapper shoe will be the pride of your Aaron Basha charm bracelet or necklace.